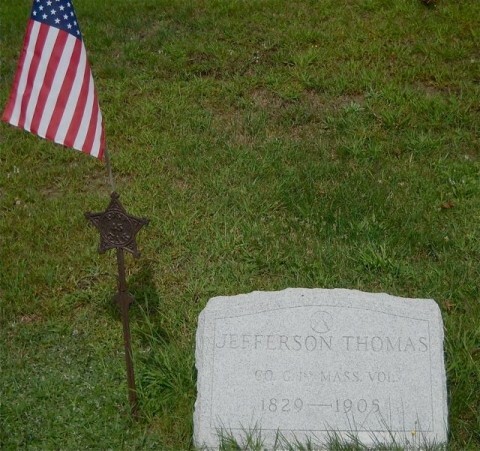 Jefferson Thomas of Boston died at the home of his daughter, Mrs. Eugene H. Kennedy, Friday, July 28, of peritonitis, aged 76 years, 2 months, 28 days. He came there only a short time before, and was sick only one week. The funeral was held from the residence of Mr. Kennedy Sunday afternoon, the Rev. W. S. Hathaway of Washington officiating. The interment was in Highland Cemetery.